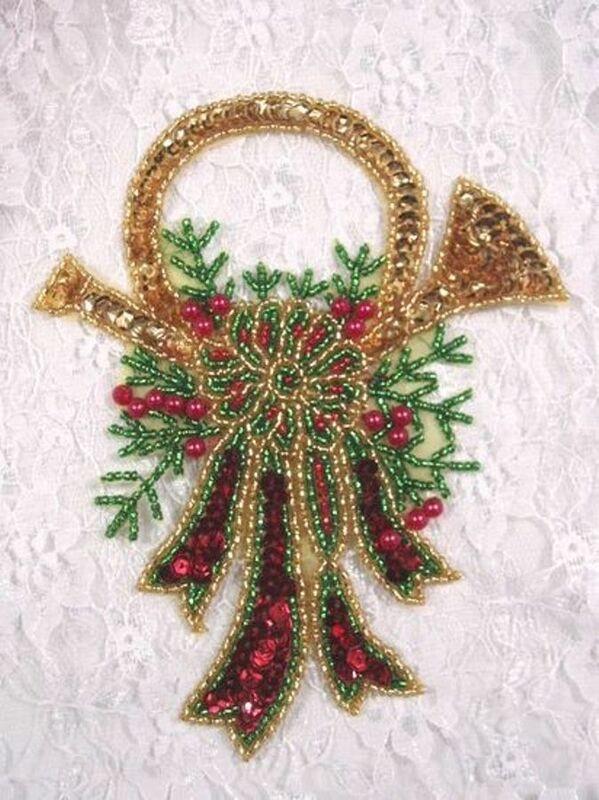 Another great applique for stockings, ornaments, T-shirts, tree skirts, wreaths or any other Christmas decoration or crafts. This applique would also look stunning on a blazer or sweater to wear to the yearly Christmas Party. The beautiful red beads add depth to the rich colors of Christmas. Application: Sew, glue or iron on. Its that simple! Appliques are handmade and considered a piece of art in my opinion. Please take into consideration that colors and sizes can vary slightly.